I had an hour to kill between trains in Sheffield so I did a quick pub tick to kill the time. I remember the Rutland from 20 years ago when it were a pub you wouldn't visit, how times have changed including the area. 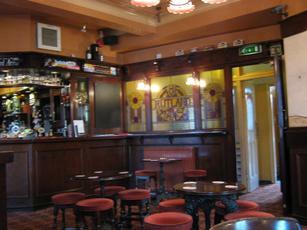 A fair sized corner plot pub with an open plan bar area that was previously 2 separate drinking areas'. 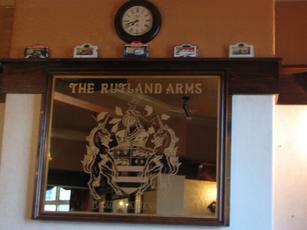 Now a days it's home to lots of old beer bottles, various trophies and a large amount of pump clips. 7 cask hand pumps, my choice was Blue Bee’s Hillfoot Best Bitter @ 4.0%, an interesting ale but still drinkable. A very good range of small brewery ales on the taps, in addition to the cask hand pumps there was a another couple of ales on keg. Truly brilliant. Smallish pub, but plenty of seating with the bar in the corner. Good enough range of beer. 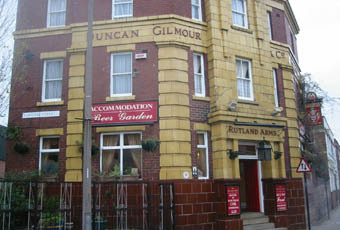 I cant quite put my finger on it, but one of the best pubs I've ever been in. Swift pint before the game.Like last season the local tipple from the brewery was excellent. Blue Bee ales are pretty good stuff to sip. Friendly service and good banter with the locals too. Shame we had to go to the football,otherwise it is a pub you could stay in and enjoy. 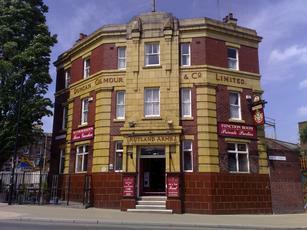 A good trad boozer with a friendly atmosphere and helpful staff. A varied selection of ales in good condition. I always pop in when waiting for a train.